Today kicks off April, and with that a variety of fun events for you to participate in. Locals and visitors alike are sure to have fun – there’s something for everyone! Check out some of the exciting April events in Destin this month, from fishing tournaments to wine festivals and everything in between! 22nd Annual Destin Cobia Tournament – it’s that time of year again! Come find out why Destin is known as the “World’s Luckiest Fishing Village” at one of the most exciting and suspenseful events of the year. Since cobia is only in-season during the springtime, there’s a very small window in which to catch the fish. 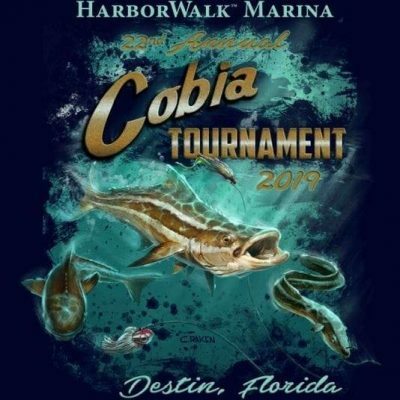 This event lasts the whole month of April, with weigh-ins at the Destin Harbor to see who can catch the biggest cobia. Winners take home great prizes, including cash! 33rd Annual Sandestin Wine Festival – this has been a popular event in Destin since 1986, and doesn’t show signs of slowing down anytime soon. The Village of Baytowne Wharf transforms into a haven for wine connoisseurs, and even wine novices will find themselves at home among the fun! From April 11th-14th, attend wine seminars, meet celebrity chefs, purchase your favorite wines, and more. Don’t miss out! South Walton Beaches Wine & Food Festival – can’t make the Sandestin Wine Festival? You still have time to make the South Walton Beaches Wine & Food Festival, held at Grand Boulevard from April 25th-28th. With tastings from award-winning chefs to over 800 wine samples accompanied by live music and a whole lot of fun, it’s no surprise why this is one of Destin’s most popular events. A weekend of fun awaits! This is also the perfect time to book your spring vacation to Destin. Our lodging partners Southern Vacation Rentals are filling up fast, so don’t wait to book! A Coastal Cottage is one of our favorite new vacation homes in Destin, Florida. 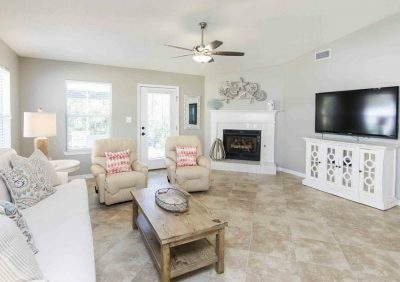 This three-bedroom home sleeps nine guests in Destin’s Maravilla community. Beach access, complimentary beach service, and community amenities await! Book direct with Southern for the best rates on the beach.